The Black Diamond Credit Card that we provide a review of is one of a number of credit cards in the UK for people with bad credit. A lot of people get into financial difficulty through no fault of their own so it is good that there are a few companies prepared to assist some individuals that have a poor credit history. After all, it can sometimes help them get back onto a stable financial footing by improving their credit rating with the credit reference agencies. From a customer’s perspective, we are sure you will agree that the greater the choice of bad credit credit cards the better. This enables you to shop around to try to find the one that you feel is suitable to meet your requirements. Who can apply for the Black Diamond Visa Credit Card? You must be a resident of the UK, a minimum of 18 years of age, have a landline phone and not bankrupt. You can complete the application form online that helps make the process quick and simple. You should have your employer’s address (if appropriate), bank details and salary information available when completing the application form. The application is subject to status as a credit reference search will be carried out and an identification and address verification process must be satisfactorily completed. What limit does the Black Diamond Credit Card provide? If you are accepted for the card, the initial limit could be anything between £150 to £1,000. Your Credit Limit could be increased over a period of time up to £3,500 when you stay within your Credit Limit and make your payments on time. What can the credit card be used for? It can be used to purchase goods and services either online, in shops on the high street and over the phone where the VISA symbol is displayed. It can also be used to withdraw cash at ATM machines. It can be used in the UK and overseas. How can you pay into your Black Diamond Visa? This can be done either by setting up a standing order/direct debit to make regular payments or make a one off payment using your debit card either over the phone or online. You can also pay over the counter at the Post Office or your bank or send a cheque. You can view your credit card account online to help manage it. The interest rate is Representative 59.9% APR (variable) as at 21st February 2016 but please check the company’s website in case this rate has changed. The interest rate is calculated using risk band pricing. They will take into account the information on the application form and your credit history with the credit reference agency. 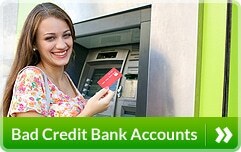 There may be other charges such as late payment fees and if you withdraw cash out of ATMs. 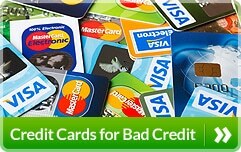 There are other providers of credit cards for people that have a poor credit history that charge a lower rate of interest. 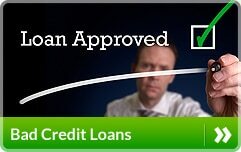 For instance, you may wish to read our Vanquis Visa Credit Card review. The Black Diamond Visa Credit Card could help improve your credit rating over a period of time whether you are new to obtaining credit or have a poor credit history. As the interest rate is high it would obviously be preferable if you were able to clear the balance outstanding by the due date each month to avoid paying interest. It can be used in a variety of places.